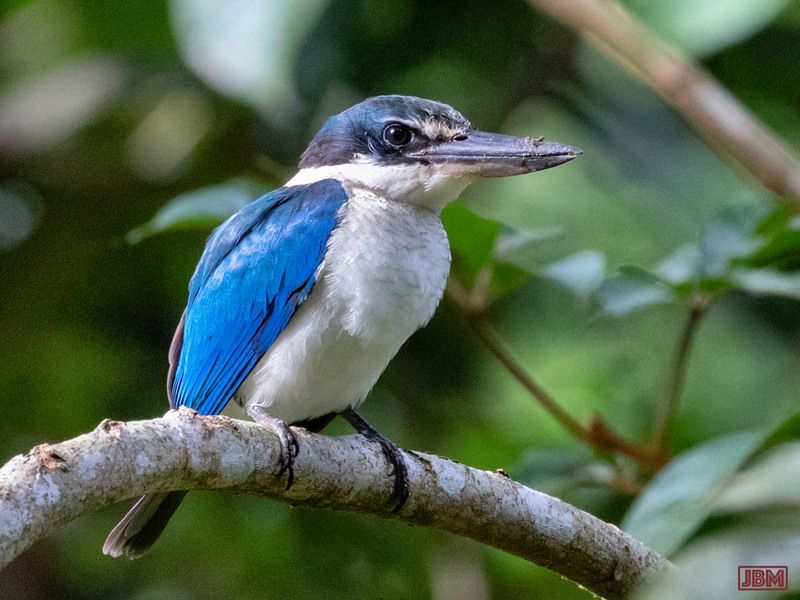 This is a followup to my previous blogpost, showcasing some of the wonderful birdlife which may be encountered at the Kebun Raya Balikpapan (Balikpapan Botanical Garden). 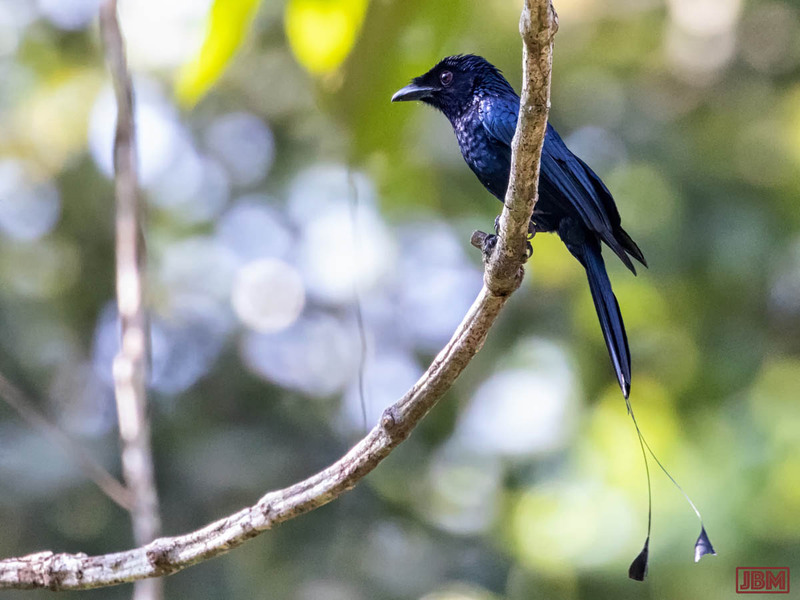 This lovely bird was remarkably unperturbed by my presence, and darted down from its branch several times to catch insects from the forest floor. 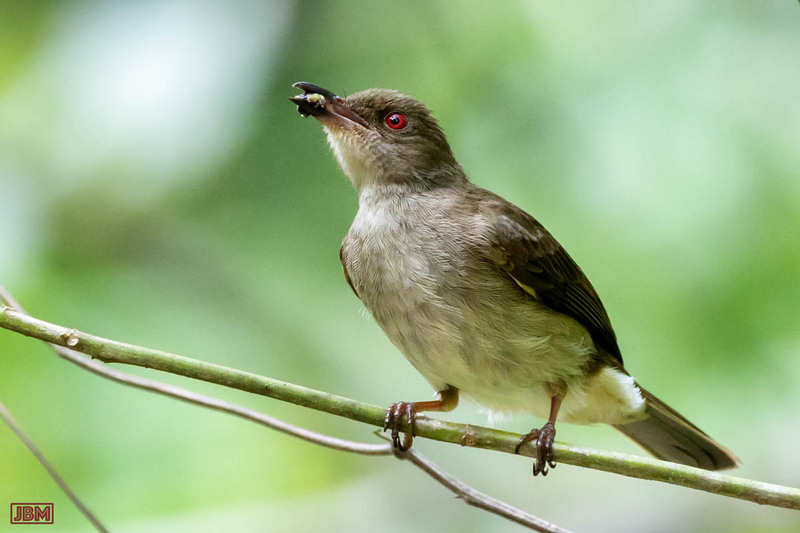 After 5 minutes – and 65 photos – it flew off…. 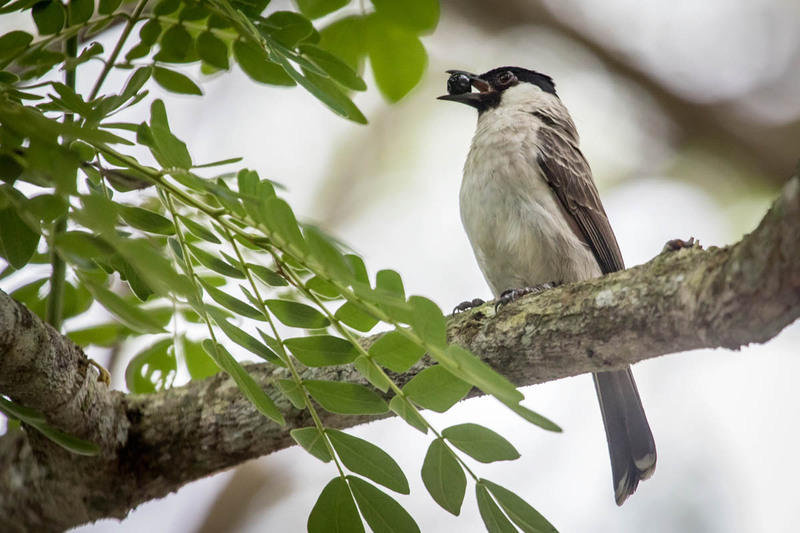 The Asian red-eyed bulbul is often seen getting grubs in lowland forests on the Malay Peninsula, Sumatra, as well as here on the island of Borneo. I like the creamy out-of-focus green blur in the photo below. Like a bird perched in the general idea of a forest. 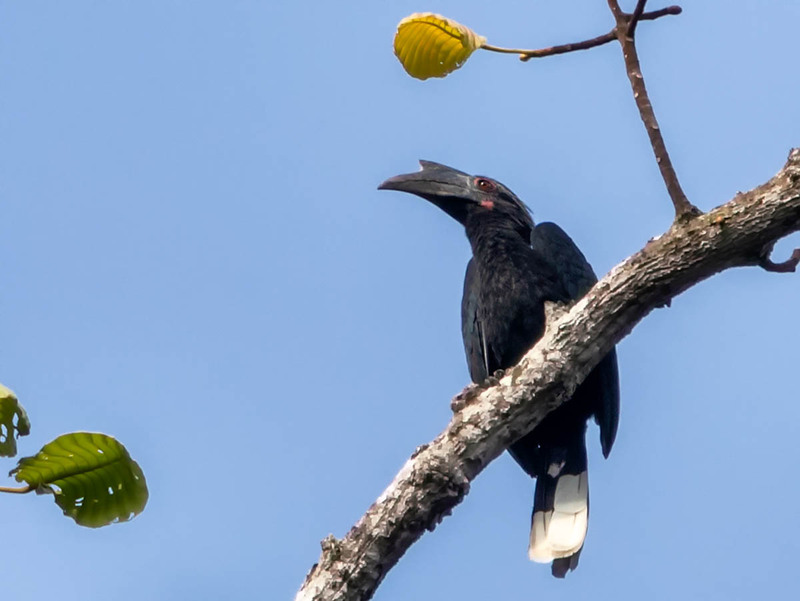 They make distinctive ‘klok-klok’ sounds as their beaks strike repeatedly against the tree trunks. 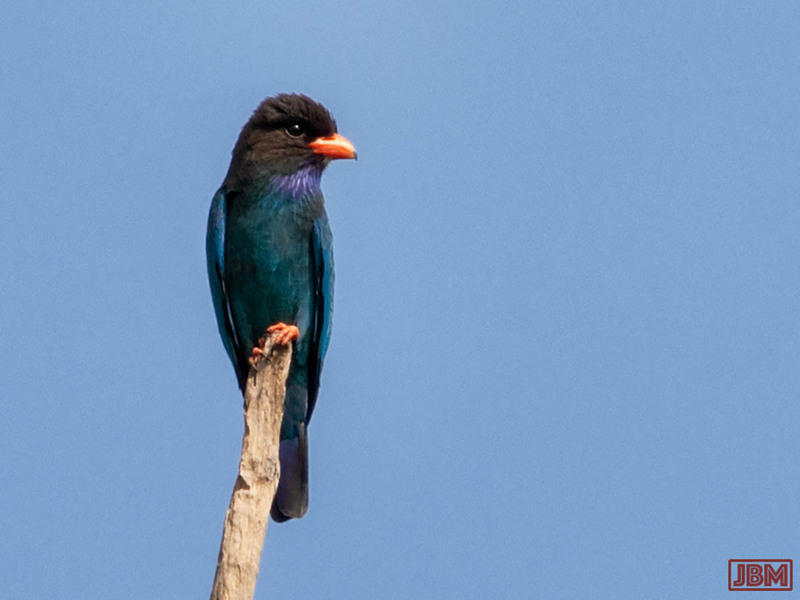 This attractive (and rather raffish-looking) pair of birds were searching for ants, termites and insects. 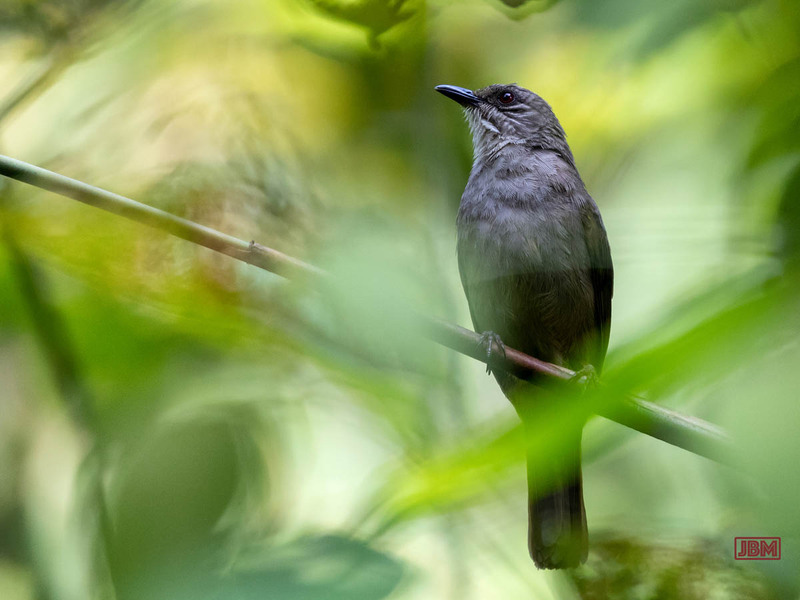 These birds have a massive repertoire of songs, including perfect imitations of other forest birds. 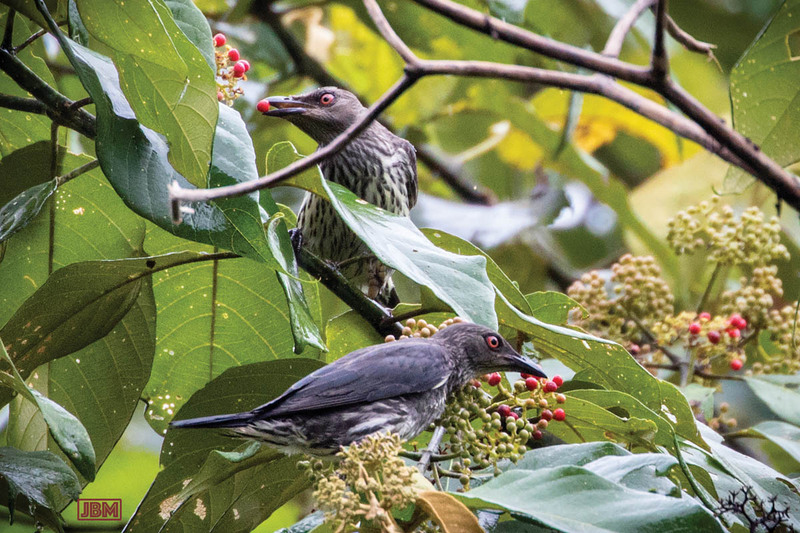 They sing sweet and loud, just beside the tracks on which I walk at the Kebun Raya – as if to attract my attention. Well, they succeed. 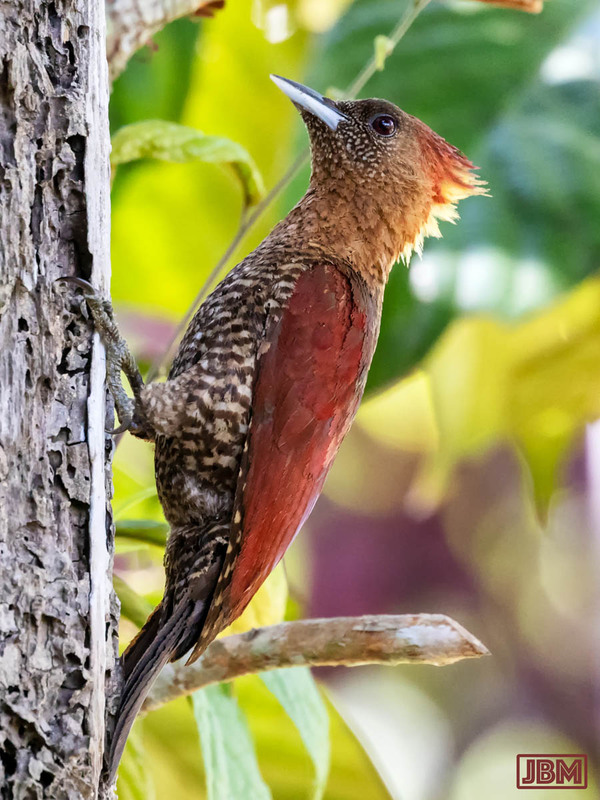 They are locally known as ‘Sri gunting’ (Scissor birds), because of the pair of long tail feathers. 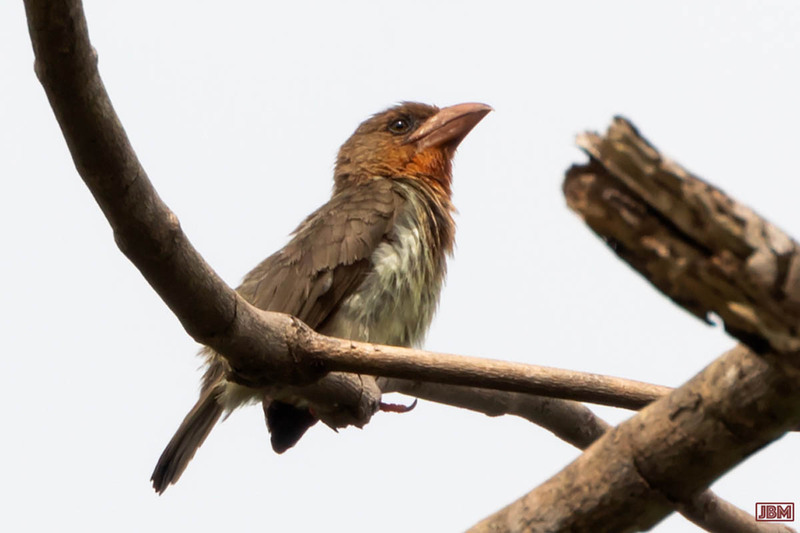 These birds are endemic to Borneo, where they are a ‘common resident’. 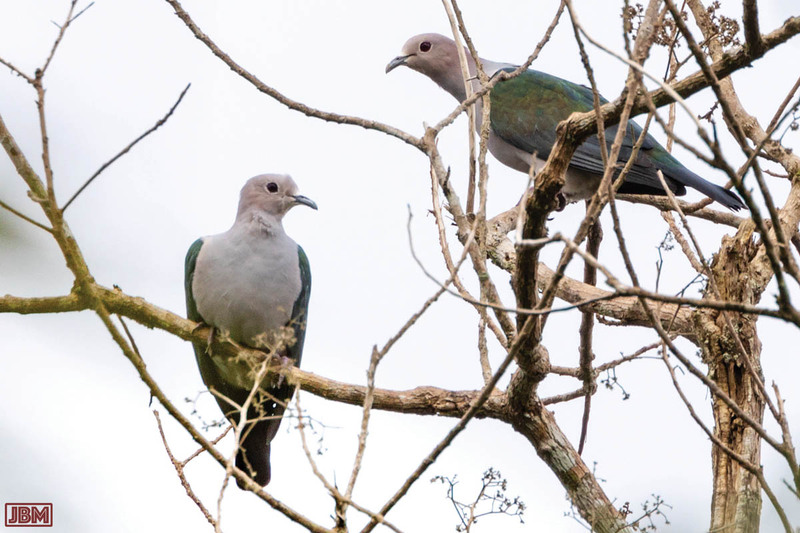 They are locally known as ‘Burung Pergam’. 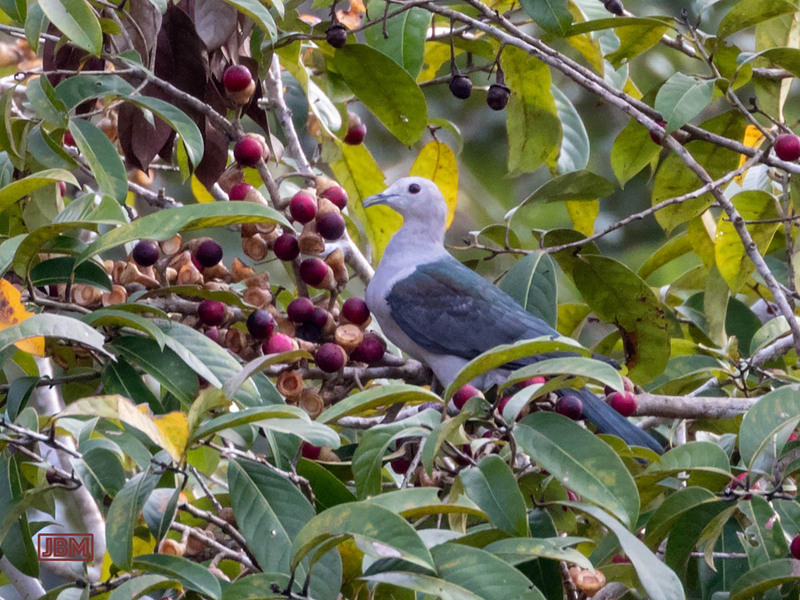 For a few weeks, they were regular visitors to some trees near the Information Centre at the Kebun Raya, as they feasted (alongside a band of Long-tailed macaques) on ripe fruit of Alseodaphne elmeri. These ones are juveniles. 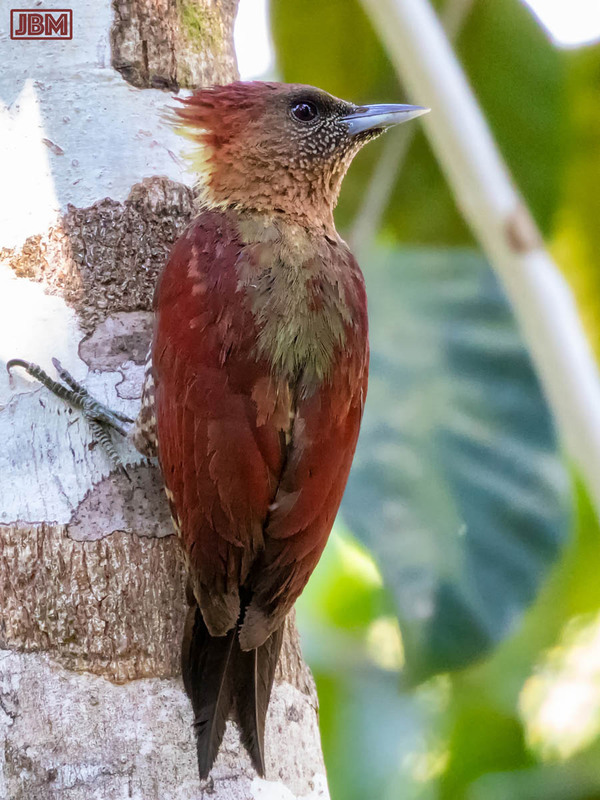 When they grow up they take on a very shiny green-black colour – but they retain those striking red eyes.